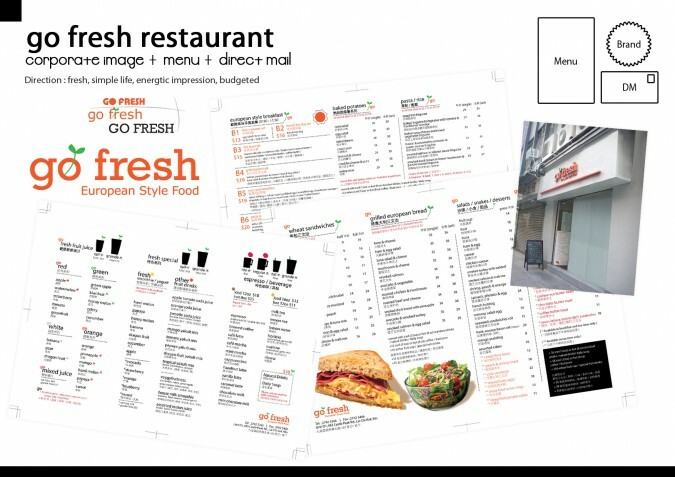 go fresh cafe is a brand new european style food store providing sandwiches, coffee, salad, pasta and rice. The corporation is smooth with Ms. Cathleen Lui, and working quickly. The project includes with logo design, branding, menu design, promotional design and interior consultant in the shop.